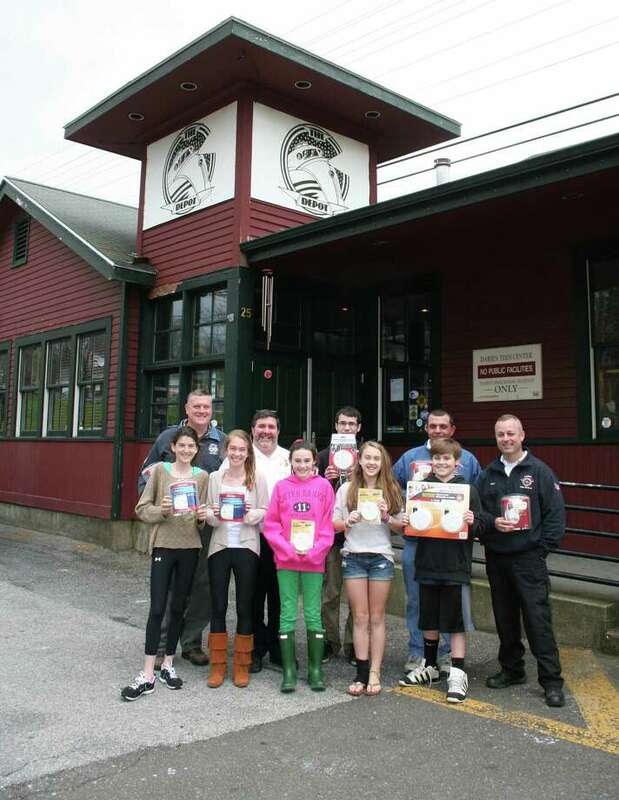 Pictured are Noroton Heights Fire Chief Ron Riolo, Darien Fire Chief Rich Weatherstone, Noroton Fire Chief Alan Hyatt and Fire Marshal Bob Buch who are presenting the smoke detectors to some of the youth members from the Cops & Kids Adventures group; Matt Rust, Katie Martin, Isabel Montanaro, Ellen Ferguson and Kallie Coughlin. The Darien Firefighters Foundation recently donated 100 smoke detectors for the senior citizen smoke detector charity drive. Another 10 smoke detectors were also donated by Abercrombie, Burns, McKiernan & Company Insurance. The charity drive was run by members of the "Cops & Kids Adventures" group. The smoke detectors will be given, free of charge, to any Darien senior citizens who are in need of smoke detectors for their home. Arrangements can be made to receive a smoke detector by contacting the Darien Fire Marshal's Office, who can also assist with installation if needed. The Cops & Kids Adventures group was formed and funded by a state grant provided by Connecticut's Office of Policy and Management, which provides opportunities for police and youth to team up for activities and community projects.